The book lights the way for readers to forge a deeper link between themselves and the natural world, as it explores the meaning and connections between sacred place, personal space, open hearts, and intent. 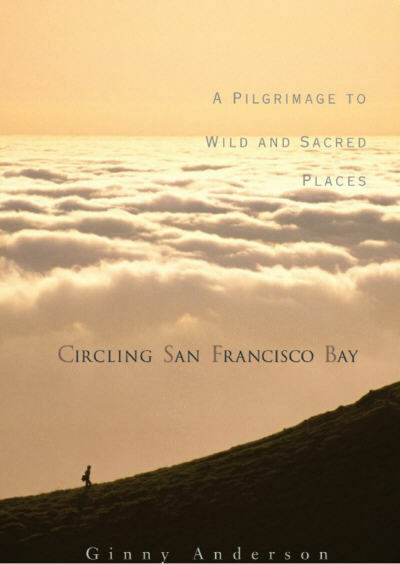 It describes the author's pilgrimage as it unfolds in the mountains that surround San Francisco Bay, and invites the reader to embark on one as well. Each chapter follows the experiences of the author and her companions as they explore the sacredness of the space in which they live. Circling San Francisco Bay will take you to some of the places of power in the San Francisco Bay Area, and introduce you to natural forms (rock formations, trails, plants, birds, animals) that communicate meaningfully at those sites to those who know how to listen. Circling San Francisco Bay provides tools to expand intuition, sensory awareness, and the capacity to connect with the natural world. Step-by-step exercises map a path by which the reader can create similar opportunities at the sites described. In addition, teachers, circles of friends, or individuals can adapt these tools to other areas with which they are familiar. Through illuminating meditations and inspiring journeys, through stories, writing exercises, art, and personal sharing, Circling San Francisco Bay supports the reader in connecting with the web of life. The book explores reciprocity with the life force as key to maintaining the web of life. Through ceremony, the book suggests that an alignment of emotion, vision for the future, and personal action is crucial to sustaining the vitality of one's relationship with life on Earth. Experience this series by taking a guided walk with Ginny. Click here for more details.